We love Otto – and you will, too! Otto wouldn’t be a travel stroller if he wasn’t compact so we’ve gone ahead and made sure he meets the requirements to be taken as carry-on for your next jet setting adventure. He’s also extremely light at only 6.9kg so don’t worry about him weighing you down – he won’t. To fold and unfold the stroller you’ll need one hand and about three seconds. Check out the fold/unfold video here (full instructional video coming soon). Edwards & Co is all about adventure and getting out and about with your kids. We know parenting is tough (we’re Mums and Dads, too) but our aim is to make your life a little easier so you can really enjoy spending time with your kids. Otto is unique with a lie-flat seat that can either be fully reclined for a newborn or sleeping baby. If you’re taking the capsule with you on holiday, it will need to be checked-in with the rest of your baggage so Otto is perfect for your child to remain – undisturbed – from car to check-in, through flight delays and boarding. So, Otto seems to tick all the boxes for the perfect travel stroller but what about when you get to your destination, or once your holiday is over? We’ve designed Otto with everyday parents in mind. 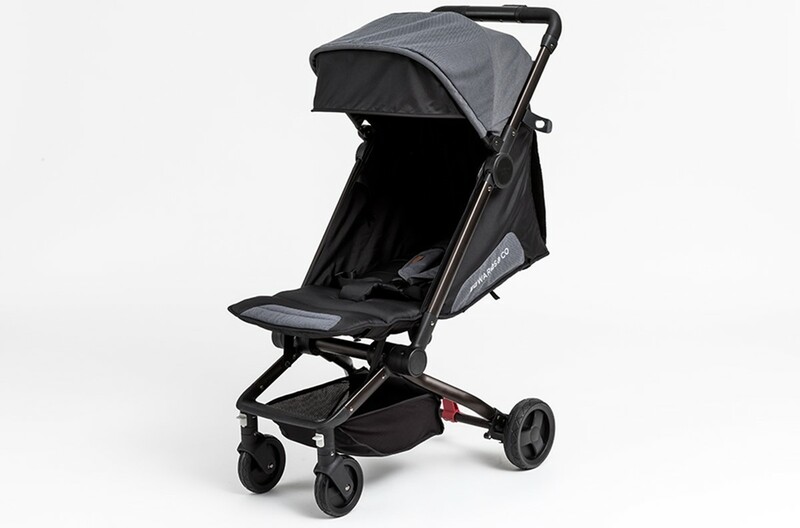 This is your compact second stroller that stays in the boot; a stroller to keep in the Grandparent’s or regular babysitters car; the run-around-town stroller. It has air-pocket PU wheels which mimic the smooth ride of air-filled tyres (those of you with an Oscar stroller will know the difference). No risk of punctures and durable for a bit of off-pavement action, too. If you’re a details person you might like to know Otto has superior rigidity with a fully-welded frame and glass nylon hinges and joins. The material is UPF 50+ and waterproof – he’s designed to withstand the elements. Otto also comes in five different colours, each with a two-tone canvas look fabric. There’s no denying our stance when it comes to Otto – we love him! And rest assured, we’ve put him through his paces. From WEL to AKL, AKL to WEL, AKL to LA and home again; he’s been up in the overhead, at a train station, with a sleeping newborn, a vibrant two year old, rolling along the star-studded streets of Hollywood, out to dinner, on a bus and in an Uber. Don’t let looks fool you, we’ve packed the small parcel tray for a day of sightseeing with bottles, spare clothes, nappies and snacks, and popped a cell phone, keys and money in the handy rear pocket. We love Otto and we know you will, too.